I was recently asking whether any M/M features a hero over 50. There were not exactly a flood of responses. And indeed there is not a lot of romance of any kind that deals with those in middle age and beyond, who look like everyday people. But there is one area that represents an exception--BBC romance comedy television series from the 70s and 80s. As Time Goes By (1992-2005) tracks a romance rekindled after almost 40 years. 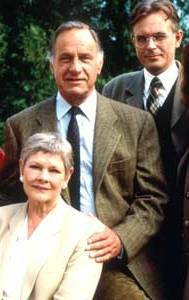 Jean Mary Pargetter (Dame Judi Dench) runs a temp agency and Lionel Hardcastle (Geoffrey Palmer) is retired and trying to publish a memoir. Meanwhile Jean is also being persistently courted by a much younger man, (Alistair Deacon played by Philip Bretherton). 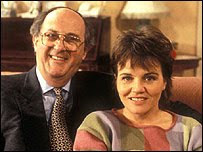 May to December (1989-1994) deals with Alec Callender (Anton Rodgers) a 53-year-old solicitor who meets and marries a much younger woman (Zoë, 26, played by Eve Matheson). The show tracks their relationship from first meeting to a possibly reparable break up after the birth of their daughter. 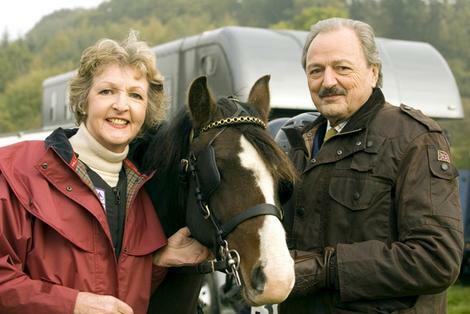 In To the Manor Born (1979-1981) Audrey Forbes-Hamilton (Penelope Keith) has to sell the manor house and lands owned by her family for generations. 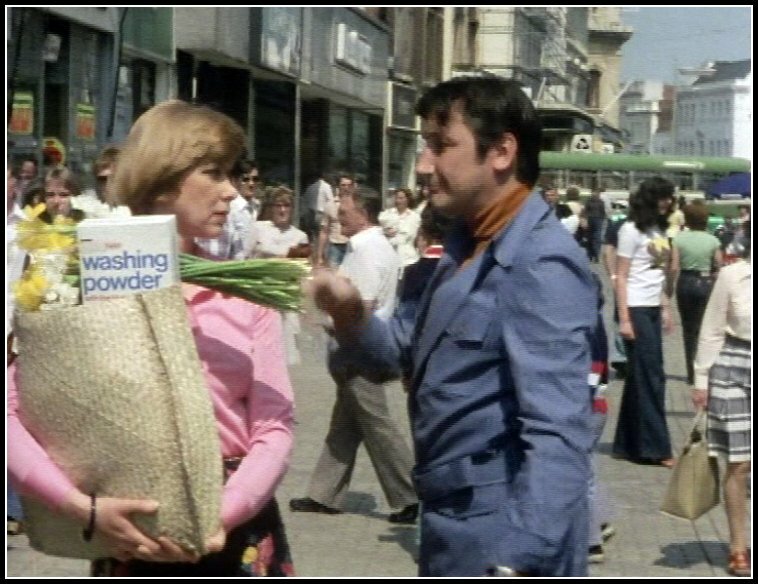 It is bought by Richard DeVere (a.k.a Bedrich Polouvicki, played by Peter Bowles) a self-made supermarket millionaire originally from Czechoslovakia. The two have an adversarial relationship that gradually grows closer, culminating in their marriage. Butterflies (1978-1983). Ria Parkinson (Wendy Craig) is a housewife frustrated by by her stale marriage and undemonstrative husband. She embarks on what would know be called an emotional affair with her friend, the wealthy and successful Leonard (Bruce Montague). While many consider these shows sedate and rather embarrassing, they are also witty and gently provocative. After all they cover topics such as infidelity, romance across age and class differences and post-natal depression. The sheer quality of the writing and acting means these shows hold up well and are worth watching, or rewatching, decades later. At the time, Butterflies was a game-changer. Ria wasn't a perfect housewife, and keeping house bored her. Her husband, Geoffrey Palmer again, was a kind, understanding man, so not a villainous type. Leonard was sweet and definitely available. All the characters learned during the series, and there was change, so everyone learned from their experiences. But it was the first time a housewife was considered as a person that I can remember. Not a nonentity, not a liberated fighter, no labels. Oh yes, and it was really funny, too. I think there are some clips on youtube. In drama, I can remember James in The Onedin Line, who married younger women after his first wife died and forged partnerships with them. Just wanted to say I've only seen the first of the BBC romcoms, As Time Goes By, but it really is lovely. The dialogue is such perfect examples of how banter should work, snappy and funny, but not bitchy because it's underlaid with obvious mutual respect and love. Just brilliant.